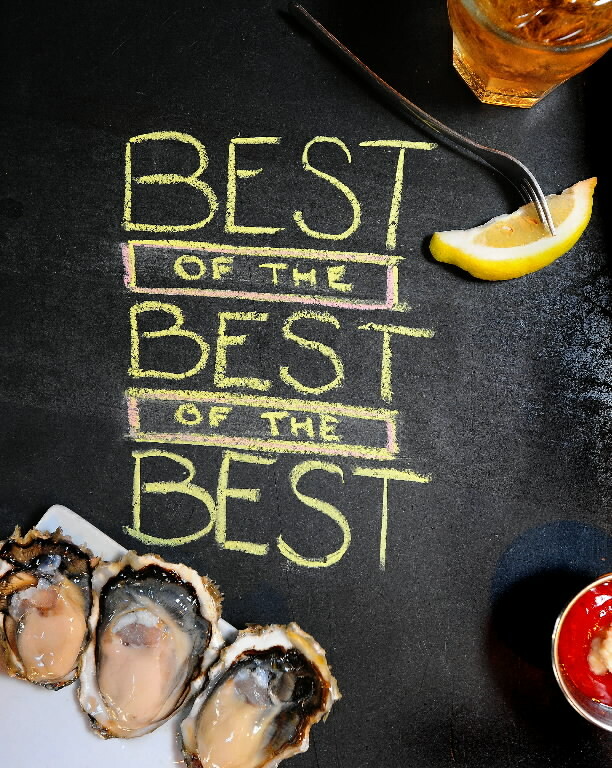 The end is nigh, so we’re ranking up the best of the best. Albums, tracks, videos…it’s listing time. Instead of making Top 100s, 50s or 10s, here on FillesSourires we’re picking one. One French track, or one French album. That knocked us off of our feet in the past year. One album that we will treasure, defend, love, for the rest of our lives (probably). With ‘we’, we don’t mean just the writing staff of FillesSourires (Guuzbourg, Maks, FransS, Steve, David, Sky) or regular contributors, no, we mean ALL of us. And you. 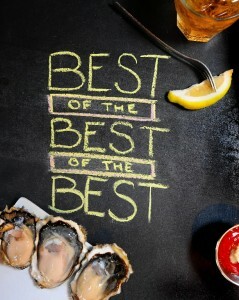 Yes, you, reading this. You come by every now & then to check what’s up in the French-speaking pop world of FS. You fell in love with that one song, that one album in 2014. So write that up. One sentence is enough. Email us (guuzbourg at gmail dot com) before Dec 12. We’re looking forward to the end. Remember that one night, where the lovely Janne Schra sang various Gainsbourg songs together with Mick Harvey? No? You weren’t there? Well, miss Schra just uploaded a bunch of tracks recorded that night in Tilburg. Pictured above: Xanthe Waite (left) and Janne Schra, the back-up singers (with solo spots) during the tribute show. Pic by Gert Gering. It’s always a bit disappointing when you think you’ve found a brand new band to get all excited about and then it turns out they’ve broken up already. And I wás getting pretty excited by Slowdance and their wave-y indiepop. 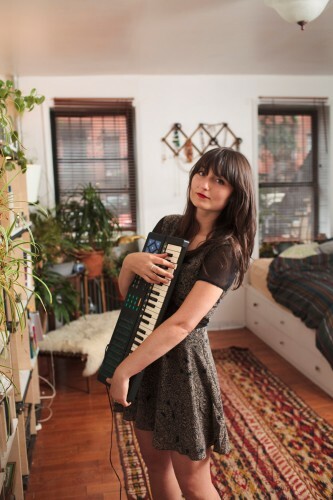 They hail – or maybe rather: hailed – from Brooklyn but have a Filles Sourires-worthy singer in Quay Quinn-Settel (pictured). Even though they are no longer a band they still put out a self-titled debutalbum recently. In fact, they are giving it away for free HERE. The two songs especially relevant in the current context, the only two sung in French, are Trio and Disco D’ete. The latter being my current favourite. You can see the band do a third French-language song that’s slightly older and not on the record, called Les Loups, HERE. 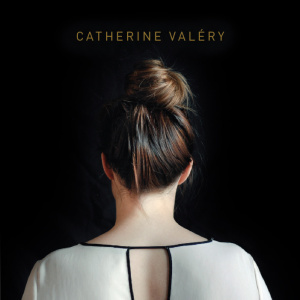 Catherine Valéry is yet another graduate from the production line that is Quebec’s l’École Nationale de la Chanson de Granby (Laura Babin, Véronique Bilodeau and Geneviève Racette have all featured in this very blog) who released her eponymous EP through Bandcamp back in May. The EP is short and sweet (there’s only four songs here) but it’s full of beautifully crafted and seemingly effortless sensual, bitter-sweet chansons that are a perfect vehicle for Catherine’s crystalline yet velvety smooth voice, as the video for the haunting “Dors” shows. In her native Quebec, Catherine is already beginning attract favourable reviews for her music. Hopefully Francophone Europe will begin to take notice. 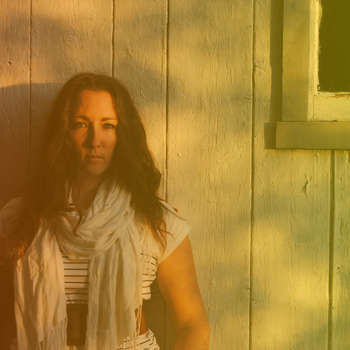 Anne-Marie Pelletier (who goes by the name A-Marie) is an aspiring blues singer from Québec who recently released three tracks via Bandcamp that serve as a taster for her debut album, scheduled for release in the spring of next year. The trio of tracks features two blues-influenced numbers “L’envie” and “Mon nord est au sud”, both of which enable A-Marie to demonstrate her rasping, honeyed vocals that I suspect were honed on the old whiskey and razor gargle trick. The third song, “Maintenant” is very much in the slow-rock vein, the type of song that should allow a singer to highlight and flex their vocal muscles. It’s a test that A-Marie passes with considerable ease as the song is perfectly arranged for her voice, allowing her again to demonstrate her vocal dynamics and effortlessly ability hold a note during the soaring refrains. Hurrah! 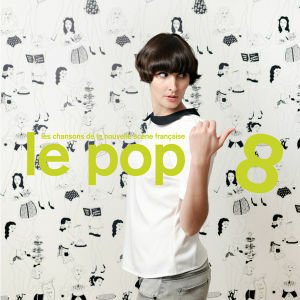 The new (eight) volume of über-cool French pop compilation Le Pop is out. 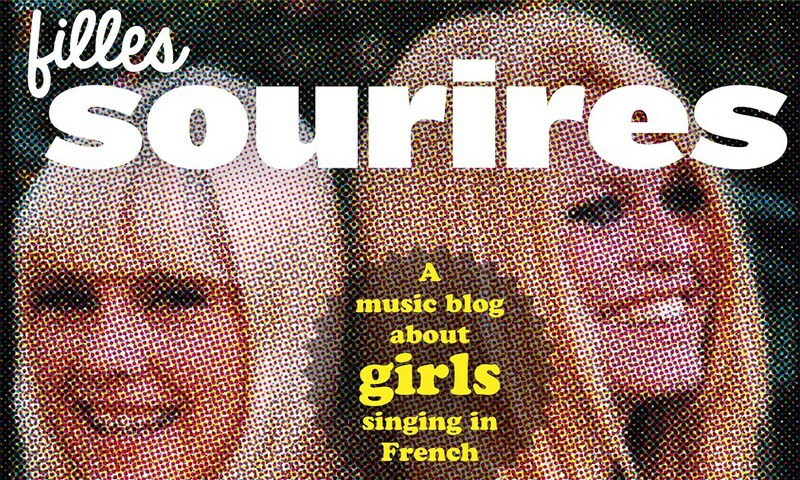 ‘Le Pop is not so much about France as such, but about great music with lyrics which just happen to be in French, music by artists that can also, of course, come from Canada, Belgium, even England’, Le Pop-compilers Rolf and Oliver write in their introduction, explaining why there are no baguettes, Eiffel Towers or basque caps on the cover. ‘The secret of the chanson is how it uses the sound and rhythm of a language to offer up very special melodies’, they continue. And that’s certainly well executed on this volume. It features chansons by FS-faves like Maissiat, Fredda, Benjamin Schoos featuring Laetitia Sadier and a brandspanking new track by Sammy Decoster (yay!). 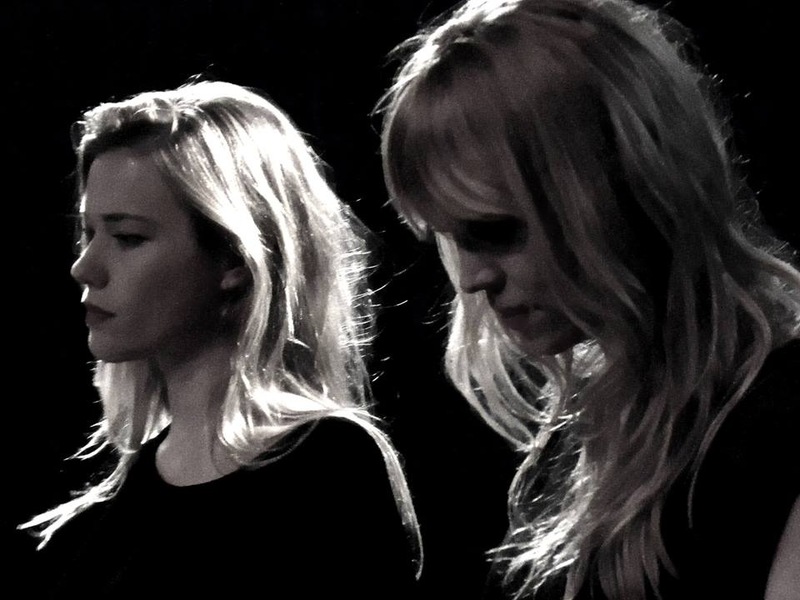 See the new video for Juniore’s La fin du monde HERE. Also new to me is Liz de Lux. You might know her from an earlier Le Pop compilation, when one of her songs was covered by Olive & Moi. I really dig the Nancy Sinatra-influence on this new track. And have you spotted which iconic album cover they channel? More on Le Pop 8 HERE. The new Brigitte album is out! Peppermoon‘s back in Holland, our Parisian friends play a few promotional gigs. Tomorrow, Friday November 14, they play RTV Rijnmond’s Live uit Lloyd. Saturday, they’re at Omroep Friesland, and later on at Dit Is Dit De Dag, to be broadcasted on Dutch Radio 1. This is because the album of both Peppermoon and Pierre Faa (Peppermoon’s principal song writer) are officially released on cd.